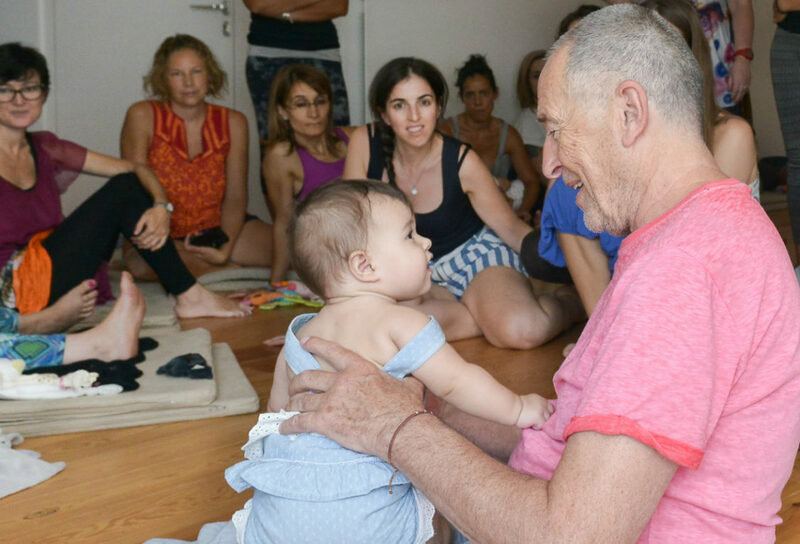 Lolly Stirk is a pioneer in her field, having dedicated her 35-year career to creating and developing the ideal yoga practice for pregnancy, labour, birth and beyond. She began studying yoga in 1969 and, with the birth of her daughter in the 70s, was drawn into the world of birth. As a doula at hundreds of births and a certified hypnobirther, she formulated the term ‘hypnobreathing’, an essential practice that she passes on in her classes. Through the love of her work, she has developed a unique way of communicating the power of yoga to women at this extraordinary time in their life. 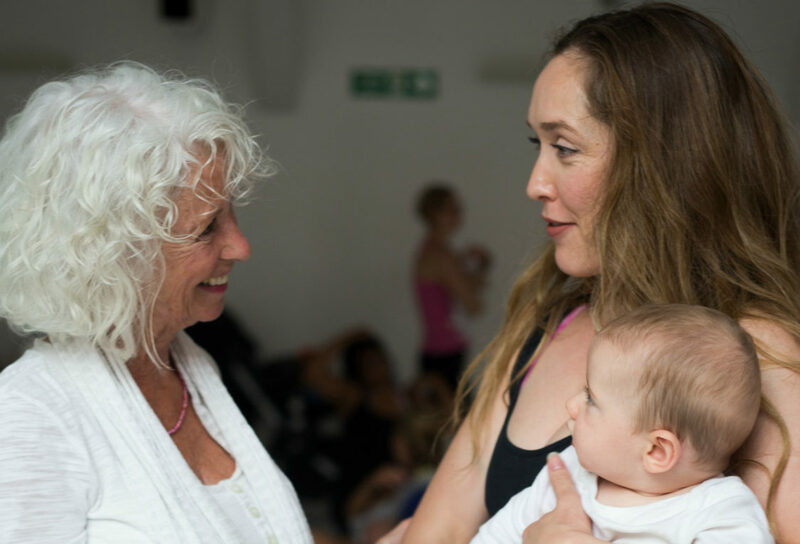 We asked her to tell us more about her classes at triyoga and how she develops a close-knit and supportive community for mothers and expectant mothers. I came to teach at triyoga six years ago and I wanted to bring an idea that had worked well in my private practice in Notting Hill. I started teaching pregnancy yoga in 1984 and the classes were among the very first pregnancy yoga classes in London. It was an obvious progression to continue teaching the women who had had their babies, so quite naturally my postnatal classes were born and started filling up. Often the women from both classes enquired about each other and it became clear that I had to connect these classes, create a cross over and build a community. I started with a baby massage/postnatal yoga class. The idea being that the massage would relax the babies and the mums could practise yoga while their babies slept. This was mostly a delightful oily session; the mums singing to their babies as they massaged them. Sometimes chaos reigned! We would then have tea and discuss everything, from how their births went to how they choose their babies name. This was followed by a yoga session, designed by me, that specifically focused on all the needs of the postnatal body and mind. From the moment a baby is born a woman’s body begins to heal and return to its former state. The yoga we practise perfectly enhances this process. Equally, the postnatal mind needs encouragement to keep calm and relax due to the demands of a new baby. The yoga, particularly the breathing, is the perfect remedy. Every week I would invite some pregnant women to come and join the postnatal class, to see the babies being massaged by their mums, and listen to the tea time discussions. These discussions were full of information that we generally only get to read about in books. It was such a simple thing to do. What I had instinctively created was a “village green” situation where women met and learnt directly from each other just by being in each other’s company. Information was passed on and absorbed quite naturally without books or classes. Not every woman gets to be in the company of so many babies and you can see how excited and open they become. I encouraged the new mums to be very welcoming to the pregnant women and to remember how anxious they may have been in their pregnancies, and to pass on as many helpful tips as they could. Often the pregnant women would entertain the babies, giving the mums the chance to do some much-needed yoga. Many moments of love and magic took place in these classes. I particularly remember a very nervous pregnant woman arriving at the postnatal class. She had never held a baby and was terrified about becoming a mum. After the tea and discussion, and just when the yoga session was about to begin, a lovely mother handed her baby to the terrified pregnant woman and said, “please hold her for a little while. I just need to stretch my body a little.” The baby totally entranced the pregnant woman and then fell fast asleep on her lap! When the mum came to collect her baby, she said to the pregnant woman, “You are a natural.” This was a turning point in this woman’s life. I see her from time to time. She now has three children and we have laughed and talked about that magical day when a little baby gave her a gift of confidence. At the end of the postnatal relaxation, all the pregnant women would arrive for their yoga class and see the new mums and the conversations continued. I would often ask a new mum to stay on and tell the pregnant women about her birth and how it is being a mother. Again, this information was eagerly and easily absorbed as they knew her and trusted the information given. And then the pregnancy yoga class began. It is such a privilege to teach pregnant women and become part of their journey into motherhood. I have been developing this style of yoga for pregnancy over 38 years and have had the most wonderful feedback from the thousands of women that have passed through my classes. The yoga is multilayered. On one level, we are relieving the demands of pregnancy on the body as well as preparing for labour and birth. Many lifelong friendships were and continue to be forged in these classes, which are a haven for these women; all sharing experiences at such a pivotal time in their lives. The practice of yoga and the support of community in such a big transient city can totally transform the experience of pregnancy and new motherhood for many. I now have had many of the babies, born from my classes, come to my class pregnant themselves and this is very special. A couple of years ago I was in the hairdressers and met a woman who had been in my classes about 28 years ago. She told me that she was still part of a group that had formed all those years ago, and that two of the babies, now grown up, had been going steady for ages. She thought wedding bells would soon be ringing! Lolly teachers pregnancy yoga on Wednesdays, 12.45-2.15pm, at triyoga Chelsea. Click here for details and to book. This follows the mummy + me class, taught by Grace Barry Tait from 11.15am-12.30pm (click for details), creating a community of mums and expectant mums. Lolly also teachers a workshop in Chelsea every second Sunday of the month on active birth and hypnobreathing. Click here for details and to book. 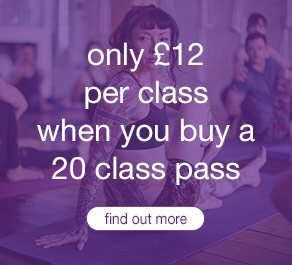 For details of all our pregnancy classes at triyoga, please click here. Photo courtesy of Sarah Stirk.